A majority of all the languages based in the west, or European in origin can trace their alphabet to the one used by the Greeks directly or indirectly. Isn’t it amazing that we can trace a huge part of our collective cultures from the Greek advancements including having a developed writing system? It has roots from Phoenicia. According to legends, a Phoenician named Cadmus brought the alphabet to Greece. This has been proven by language experts who can attest that the Greek letter forms indeed have letter forms similar to the ones used by Phoenicians thousands of years ago. Although it could be older, it is estimated that the Greek letter forms was first made around 1000 to 800 years before the birth of Christ, which makes it around 3,000 years old as of today. Prior to this time, writing is not a common or a known practice for the Greeks. After being introduced to Greece about 1000-800 BC, it has flourished and spread across what is present day Europe at that time and now, the whole world. We would not even have the word ‘alphabet’ if not from the first two letters of the Greek Alphabet. It was derived from the first two letters, alpha and beta, which when fused and shortened gave rise to the term ‘alphabet’. The Roman Numerals and Numbers uses letter forms or symbols derived from the Greek Alphabet. We would not have mathematical formulas if not with the use of the letter forms from the alphabet. Their use makes it possible to represent complex mathematical concepts into simplified and much shortened form. 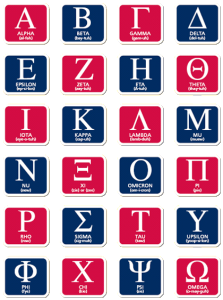 It is often a case that a sorority or a fraternity would have a name which sounds like the pronunciation of the Greek Letters. The reason for this is that sororities and fraternities often name themselves to represent their motto. They use the initials of their motto to name their group in Greek to maintain the anonymity of what they stand for. Greek Alphabet – Why is it Significant? 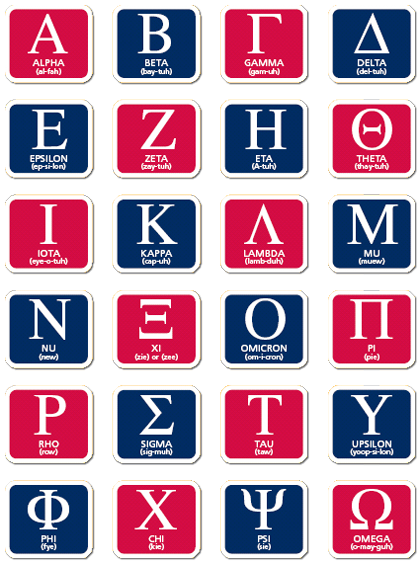 Without the Greek Alphabet, we would not have our western form of writing that we have today. Perhaps we would be writing in Chinese characters or maybe in Arabic. The world would be totally different. As the modern alphabet (which is derived from the Greek one) is very easy to learn and can be adapted for use by almost all languages, it has enabled the fast transport of information, from which we owe what we have as internet and globalization today.